In many modern societies today, building a career takes precedence over building a relationship. A reason for this could be related to the common misconception that an individual has more control over the outcome of a career than a relationship. A career plan, commitment and effort increase control over your success potential. Approaching a relationship with similar business-like acumen will give you the same sense of control and chances of success. Listed below, are business essentials which can be transferred to your relationship. BUSINESS PLAN: Direction, timelines, goals and plans of action are important to establish at the very beginning of a business and relationship. Knowing what you want, need and expect from a relationship is important to discuss with your partner, before you invest your emotions, time and energy. It is just as important to know what your partner wants, needs and expects in return. If goals and timelines are not mutually shared and agreed upon, after attempting to discuss and compromise, the direction of the relationship will be easily determined. QUALITY CONTROL: Quality is the key to success, professionally and personally. Quality of one’s self is defined by being healthy mentally, emotionally, physically and spiritually. Being healthy and balanced in these areas will bring out the best in you, which will contribute to the overall success of your partnership. To ensure you are always striving to be the best version of yourself, schedule regular ‘quality assurance checks’ by assessing your well being and balance in those areas mentioned above. Where the need for improvement exists, decide on a plan of action and execute. WINNING PARTNERSHIP: A partnership should be chosen carefully and should be constantly evolving. Selecting the best partner for you is arguably the most important principle of them all. Someone who compliments the person you are and encourages you to be the person you strive to be, is what makes a winning partner and team. A solid foundation, communication, challenging and supporting one another, contributes to growth and development in the course of the relationship and in one another. CUSTOMER SERVICE: Customer retention is more beneficial than new customer acquisition. Value your partner as much as you would your existing customer. Expressing your appreciation for your partner is important. Meeting your partners needs (outlined in the Business Plan phase) and striving to go above and beyond what they expect, will show them just how much they are valued in your life. This should be reciprocated, so you also feel appreciated in the partnership. Strive to achieve excellent customer service, by consistently meeting (and exceeding) your partner’s expectations and earn their love daily. REVIEW AND ANALYSIS: The purpose of a business review and analysis is to identify business needs and determine solutions to business problems. Assess your relationship as you would your business, for the same purpose. A regular assessment of the relationship is a healthy exercise to identify what is working well and what needs improvement. It is also necessary to assess whether you are on the right track in terms of your initial plan. Mutually agree to review and assess the relationship every six months. Speak to one another with respect, honesty and openness. Listen with acceptance. Don’t forget to acknowledge successes, as much as you focus on areas of improvement. INVESTMENT AND GROWTH: Based on the review, decisions pertaining to investments and growth are decided. 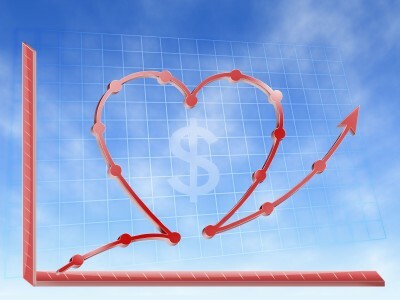 Money is considered an investment in business; emotions are considered an investment in relationships. Very often, more discretion is used when investing money than when investing emotions, time and energy. Value your personal worth and well being. Don’t lose sight of your goals and objectives and take calculated risks to get you there. After the review and analysis phase, you should be able to identify risk factors and decide if the ROI is worth the investment. If your decision is to further invest, determine how you will promote growth based on the initial goals outlined in the business planning phase. Experiencing personal and professional success and growth are equally as important and rewarding, (especially when you mix business with pleasure). At times, unexpected uncontrollable variables may cause affect on the outcome of your business, career and relationship. If and when this happens, you will have to decide whether the risk outweighs the return. We are very calculated when planning our careers, when steering our businesses and when investing our money. 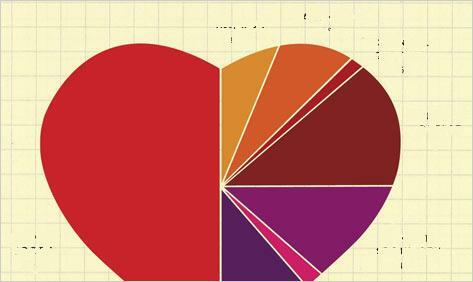 Why not invest an equal amount of time, energy and effort in your relationship to maximize your emotional ROI? I look forward to reading your articles every month and find it very imformative. In your present article, I liked the fact that you identified a problem and then suggested a solution. That was very creative. Thanks. I only wish your articles appeared more often than once a month.